2nd Annual Hooper Bowl | Whats Happening? 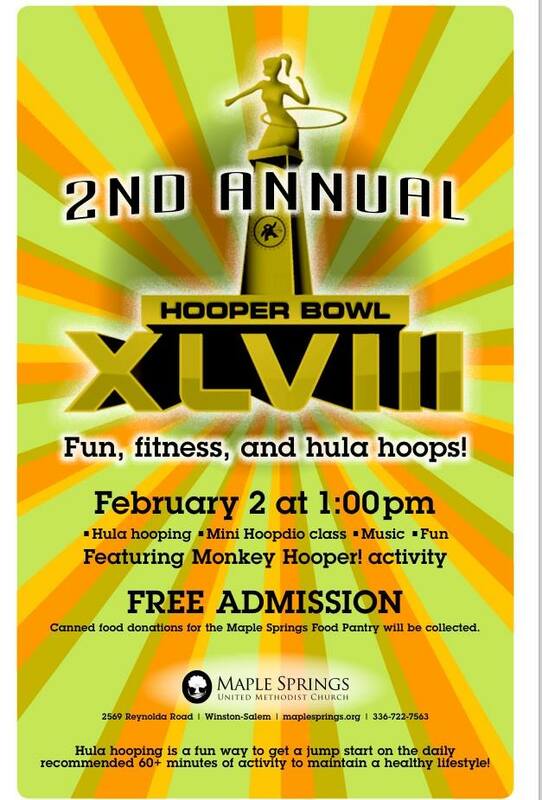 The 2nd annual Hooper Bowl RETURNS! Join us on Feb 2nd at Maple Springs United Methodist Church for fun family fitness, trophies and prizes!!! Please bring a canned food donation as this is also a food drive for the amazing Food Pantry at MSUMC. Please share!